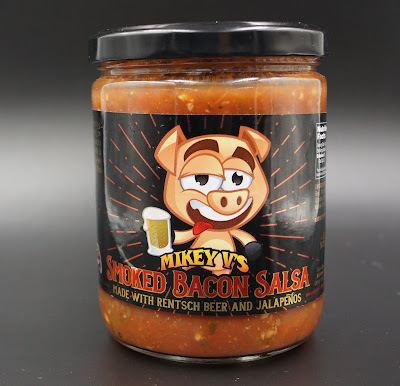 We are traveling to Texas to sample a bacon themed salsa from; “Mikey V's Foods an award winning, Veteran owned, Texas based food company aimed at offering high quality, hot sauces, salsas, spicy pickles and jerky”. This salsa has sourced an ingredient of beer from the Rentsch Brewery. 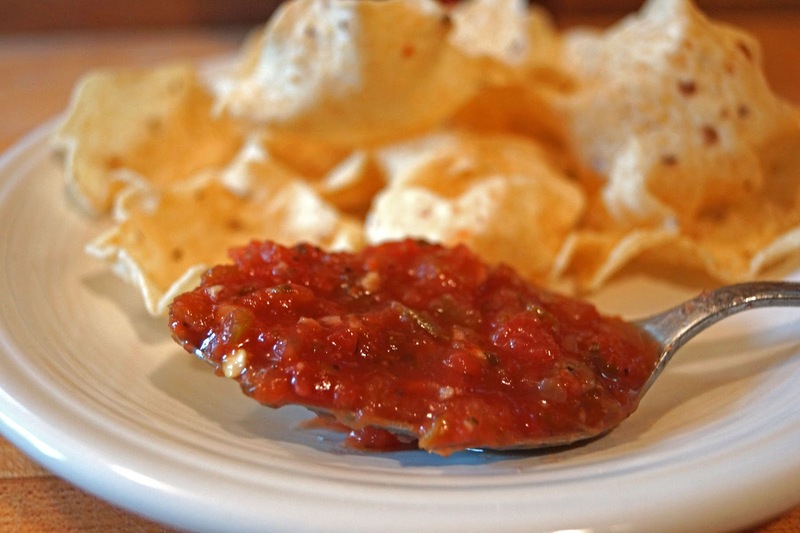 Today’s salsa is fueled for heat and flavor by the earthy love of the jalapeno pepper. As some of you may know I am a sucker for all bacon themed products. Let’s give this salsa a taste and pray for bacon. Ingredients: Tomatoes ( tomatoes, water, citric acid),beer onions, jalapeno peppers, lime juice, fresh garlic, cilantro, spices, Natural Bacon Flavoring, pure cane sugar, kosher salt, spices and cumin are the listed ingredients. You would think I would have learned my lesson by now to not read the ingredient list. Right from the git-go the red flag is raised by the ingredient Natural Bacon Flavoring. What the heck is that? One can only assume it is liquid smoke. The top is opened to reveal a smoky tomato aroma. The sauce is thick and chunky. The flavor has a nice tomato flavor with a hint of jalapeno and onions. The heat is mild with a gentle warming. There definitely is a smoke component to this salsa. Does it taste like bacon? No. The beer component is not detectable to my palette. Do not get me wrong though, this is a very decent salsa. I would, and will serve it during the football playoff games. The only reason bacon is on the label was to get my purchase. It worked. Yup i f you put bacon on the label you increase sales. What team is going to win the Superbowl? Greg, My Raiders got dealt a bad card so the Super Bowl is not as exciting for me. I think Brady will be on top. I am looking forward to the commercials and all the snacks. I am going to cook a point end brisket for burnt ends. Burnt Ends will be the winner.